Plex organizes all of your media collections—movies, shows, music, photos, and videos—and streams them to any device, anytime, anywhere. Plex also helps you cut the cord! Go premium with a Plex Pass and use Plex Live TV & DVR to watch and record free over-the-air HD TV, like NBC, ABC, CBS, and FOX (in parts of the US; networks vary by location), with any supported digital antenna and tuner. 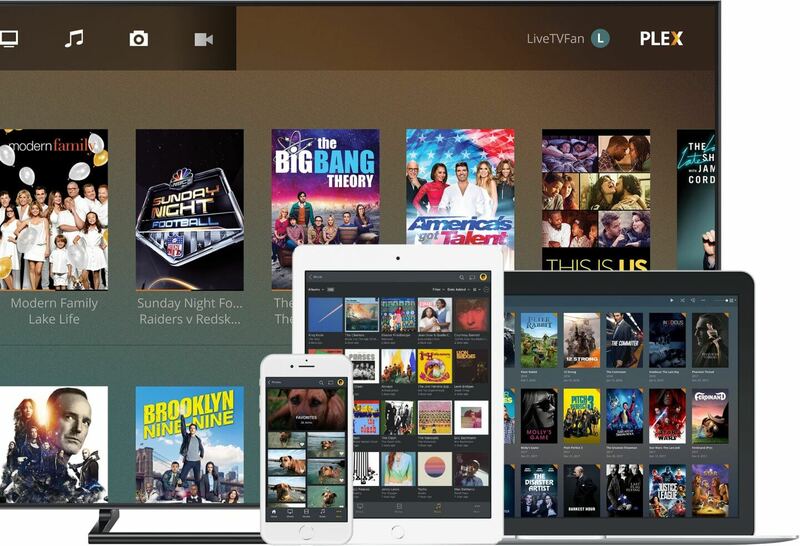 Packed with tons of free features, like remote access, sharing, security, and casting, Plex also makes your media beautiful with rich descriptions, artwork, ratings, and more. Stay up-to-date with Plex News: a free, personalized video newscast with trusted local, national, and international news sources, like CBS, Euronews, IGN, AJ+, Sky News, and more. Enjoy premium features with a Plex Pass subscription: Live TV & DVR, Mobile Sync, Premium Photos, Premium Music, Parental Controls, and so much more. Easily cut the cord: get free over-the-air live and recorded TV streamed to all your devices. Stream TIDAL’s 60 million tracks, 250,000 music videos, and original content on Plex. From addictive web shows and podcasts to snackable video news: enjoy your favorites all in one app.